deficiency accounts for over 60% of anemia cases[iii]. maternal mortality in India, and indirectly another 50% of maternal mortality[iv]. gross domestic product (GDP) loss[v]. falls far below the recommended dietary allowances (RDA)[vi]. products to improve iron nutrition remain elusive. iodine) in the 1950s and and hydrogenated oil (with vitamin A) in the 1980s, promoted through public-private partnerships and international agencies. 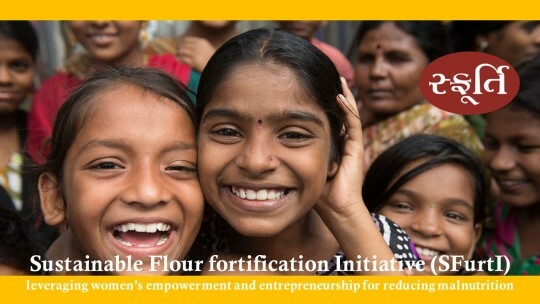 benefits and prove to be an essential tool in the fight against malnutrition. scale up programs to benefit the larger society. Bens were able to reach ~70% of households within a span of one year. will complex social structures and a low-on-motivation Sfurti Ben, however, continued to show poor sales. communities takes intentionality, planning, and effort. Be mindful of women’s time demands and heavy workloads. the outreach in year two was 3,501 households. 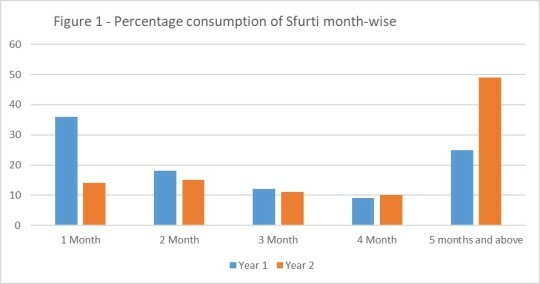 Figure 1 shows the shift in the regularity of consumption during the second year of the program, with a higher number of households consuming Sfurti for five months or more in year 2 than in year 1.
widely in regions where markets and safety nets are thin. significant state-level intervention through policy is essential. 1993–2005. Public Health Nutr 12: 444–454. Available here. deficiency anaemia in India. Natl. Med. J. India (2014); 27(1): 27-9. T., et al. Issues in prevention of iron deficiency anemia in India. Nutrition (2014) 30: 764-70.
and C. Probart (eds). Food, Nutrition and Agriculture. FAO. disorders (IDD) control in India. Indian J Med Res. 2013;138(3):418-33.